George Andguladze will be Ramfis in Aida on 4th March for the opening night at State Opera House of Georgia. 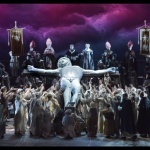 Aida will be the first opera on scene under the new general and artistic director Badri Maisuradze, an important date and event for the theater and the city. 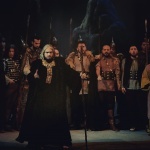 The cast for the premier included only georgian singers with international career like Iano Tamar, George Oniani, Anita Rachvelishvili, George Gagnidze and George Andguladze. For the 165th anniversary season, State Opera House of Georgia exclusively presents the special version of Giuseppe Verdi’s AIDA. For the first time the audience will see the production by legendary Franco Zeffirelli. 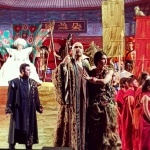 He staged this production of AIDA for the first time in 2001, in Verdi’s hometown – Busseto. 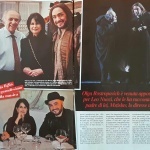 The performance dedicated to the 100th anniversary of Giuseppe Verdi’s death premiered at the Festival Verdi. 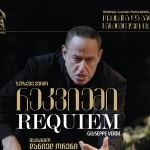 March 4 – The Georgian premiere of Franco Zeffirelli’s production will be conducted by one of the greatest modern conductors, internationally acclaimed and special admired for his interpretation in Verdi’s repertoire, Maestro Daniel Oren.